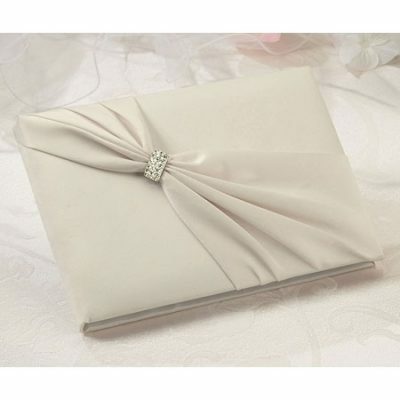 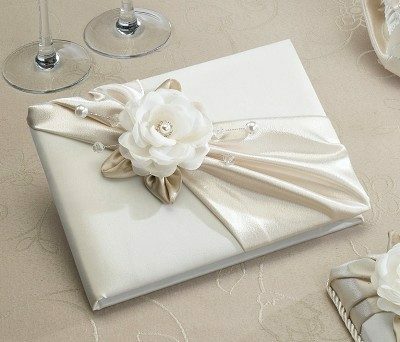 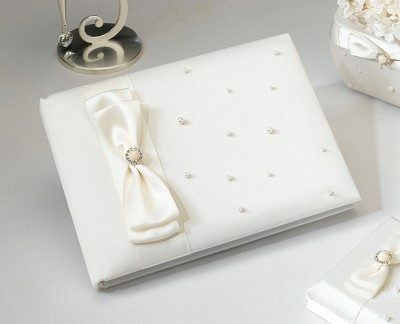 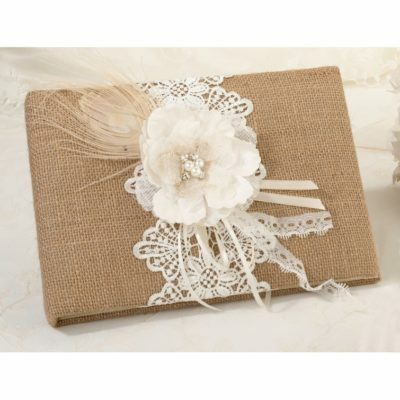 To give this guest book its unique look, a hand crafted flower with a pearl/rhinestones ornament decorates the cover. 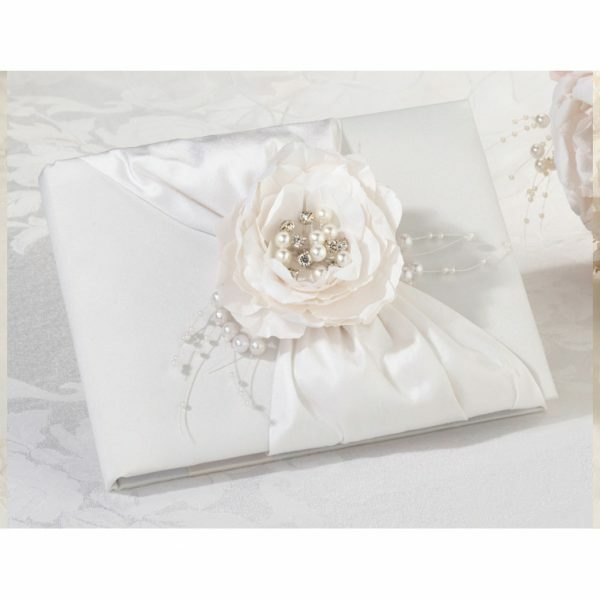 Below the hand crafted paper flower is gathered cream satin sash and a pearl spray accent. 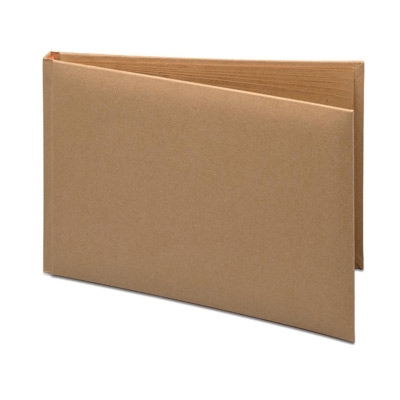 Measures 8.5″ long and contains 55 pages for 990 signatures.